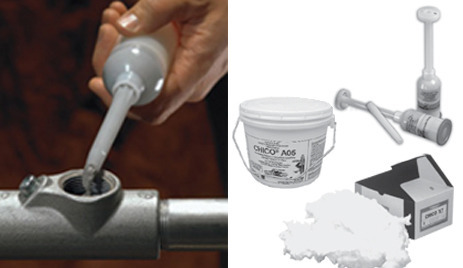 Chico A-P Sealing Compound, X Fiber & Speedseal for Sealing fittings and hubs are approved for Hazardous locations. Sealing compounds form a seal around and between each electrical conductor inside a sealing fitting. Once hardened, the compound restricts the passage of gases, vapors, or flames through the conduit from one portion of an electrical installation to another portion. Download the Chico A-P Sealing Compound, X Fiber & Speedseal for Sealing fittings and hubs spec sheet below or call 714.835.6211 for more information.